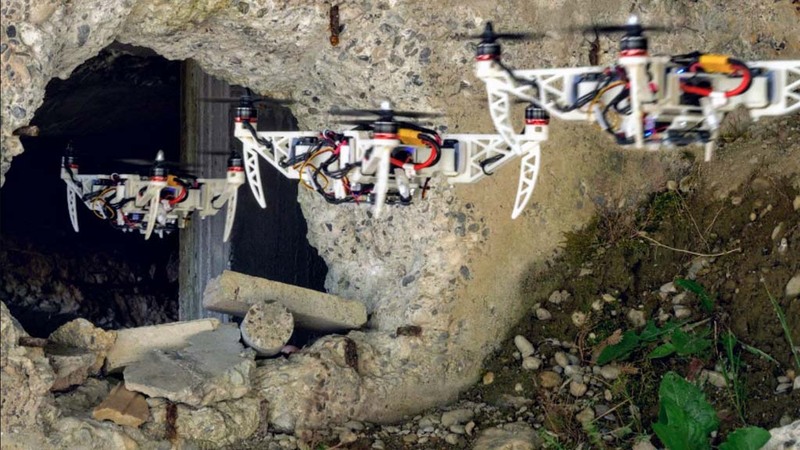 Inspecting a damaged building after an earthquake or during a fire is exactly the kind of job that human rescuers would like drones to do for them. A flying robot could look for people trapped inside and guide the rescue team towards them. 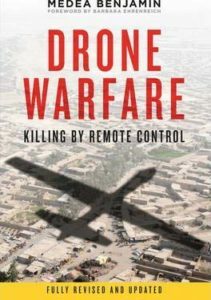 But the drone would often have to enter the building through a crack in a wall, a partially open window, or through bars – something the typical size of a drone does not allow. To solve this problem, researchers from the Robotics and Perception Group at the University of Zurich and the Laboratory of Intelligent Systems at EPFL created a new kind of drone. Both groups are part of the National Centre of Competence in Research (NCCR) Robotics funded by the Swiss National Science Foundation. Inspired by birds that fold their wings in mid-air to cross narrow passages, the new drone can squeeze itself to pass through gaps and then go back to its previous shape, all the while continuing to fly. And it can even hold and transport objects along the way. “Our solution is quite simple from a mechanical point of view, but it is very versatile and very autonomous, with onboard perception and control systems,” explains Davide Falanga, researcher at the University of Zurich and the paper’s first author. In comparison to other drones, this morphing drone can maneuver in tight spaces and guarantee a stable flight at all times. The Zurich and Lausanne teams worked in collaboration and designed a quadrotor with four propellers that rotate independently, mounted on mobile arms that can fold around the main frame thanks to servo-motors. The ace in the hole is a control system that adapts in real time to any new position of the arms, adjusting the thrust of the propellers as the center of gravity shifts.